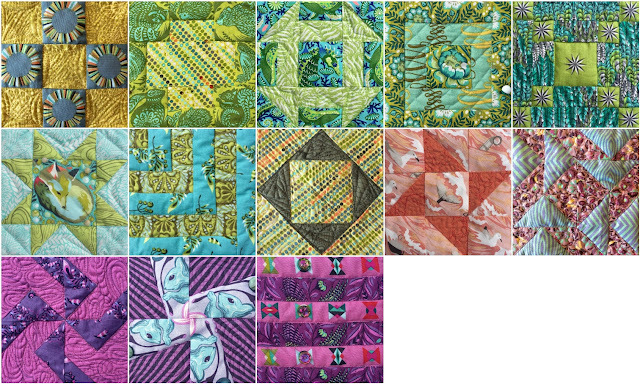 When quilting my Bernina 125th Anniversary Quilt blocks, I gave each block a different free-motion or ruler work treatment to highlight the piecing. 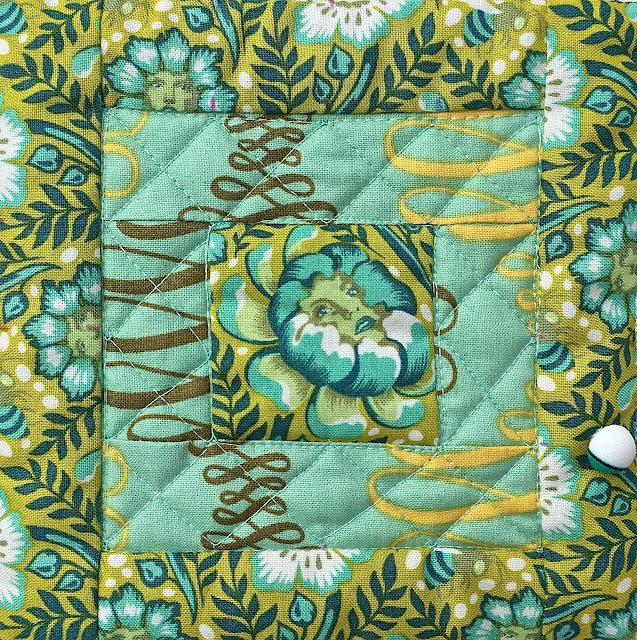 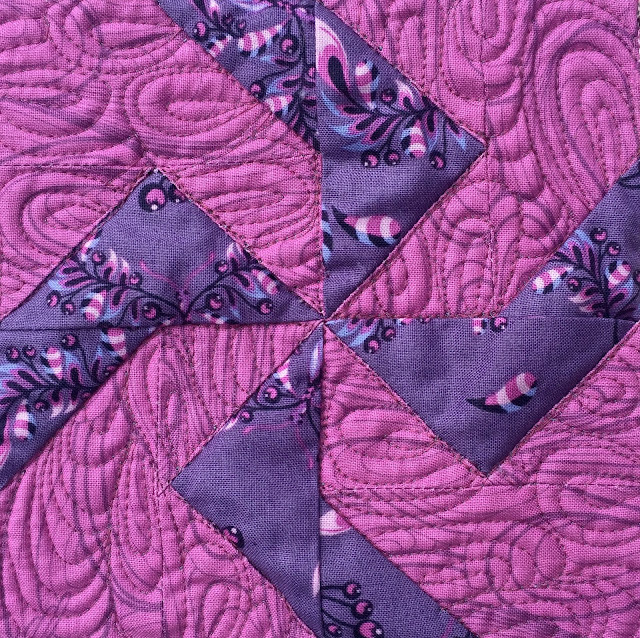 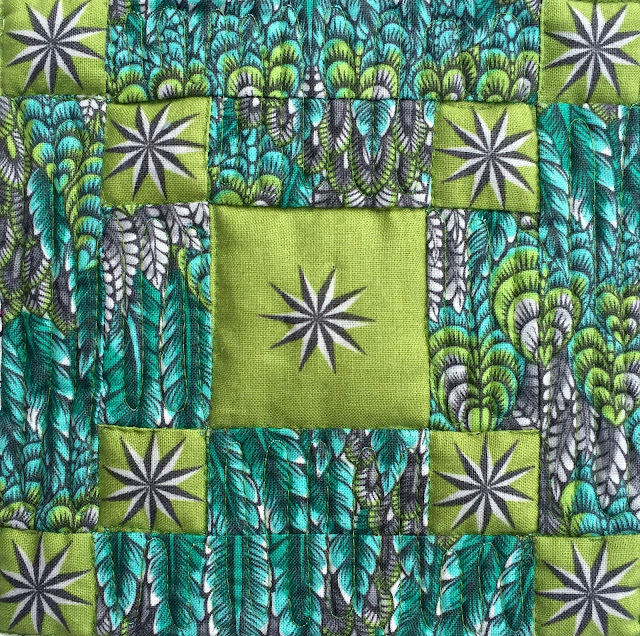 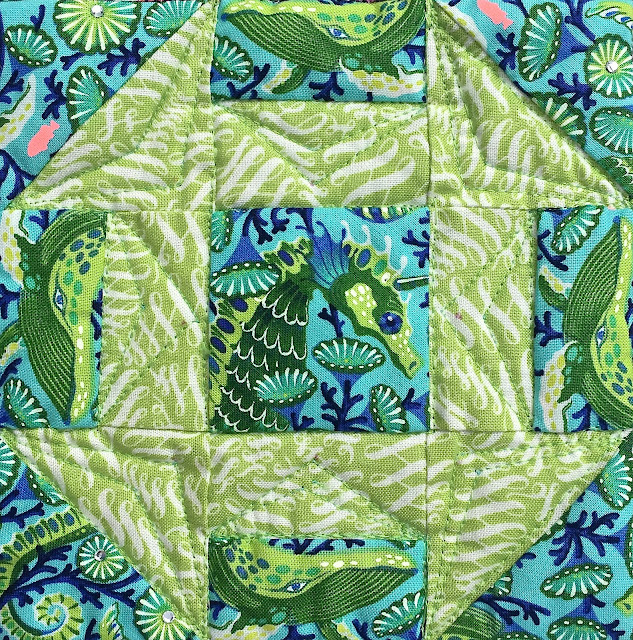 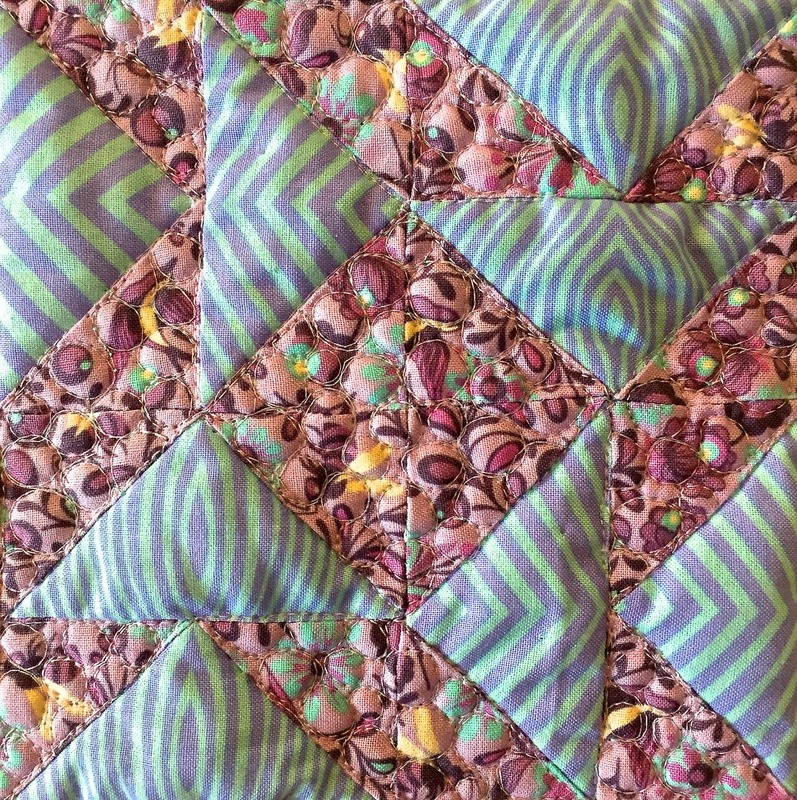 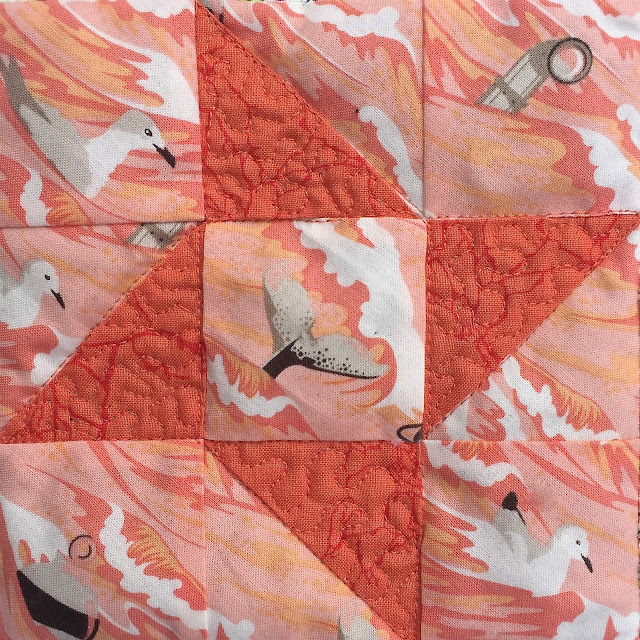 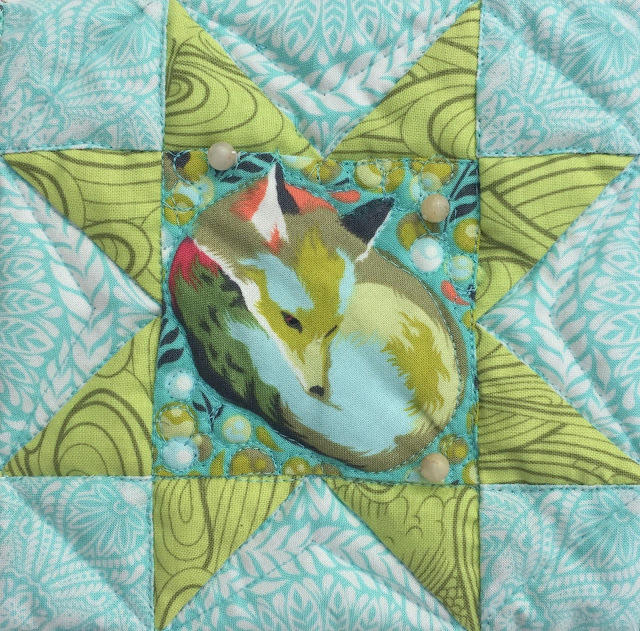 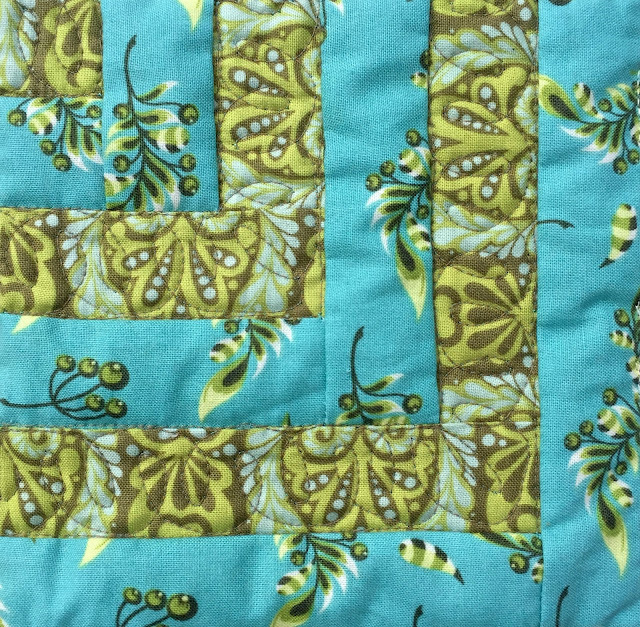 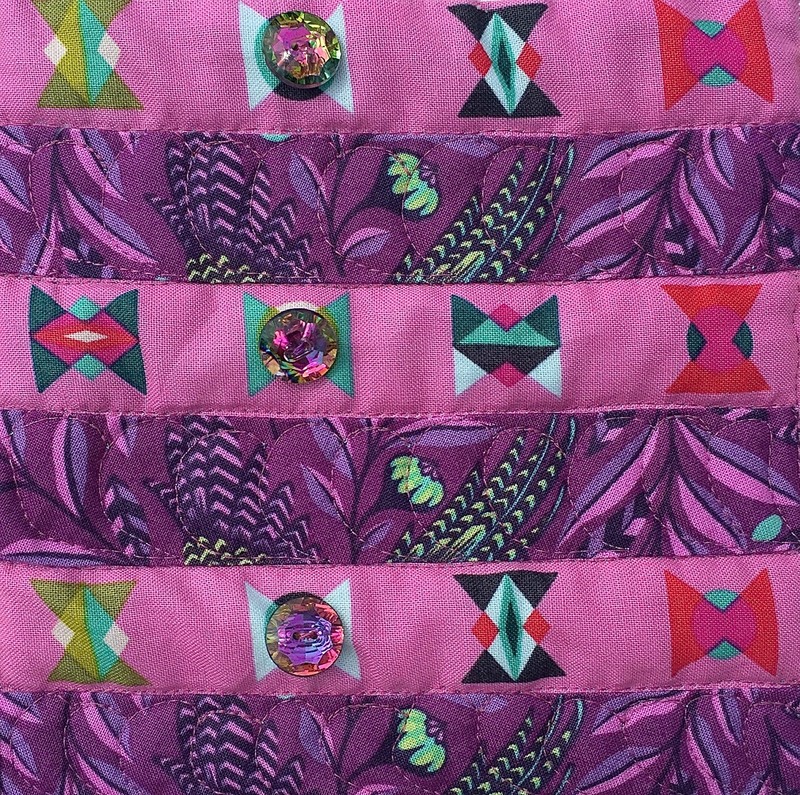 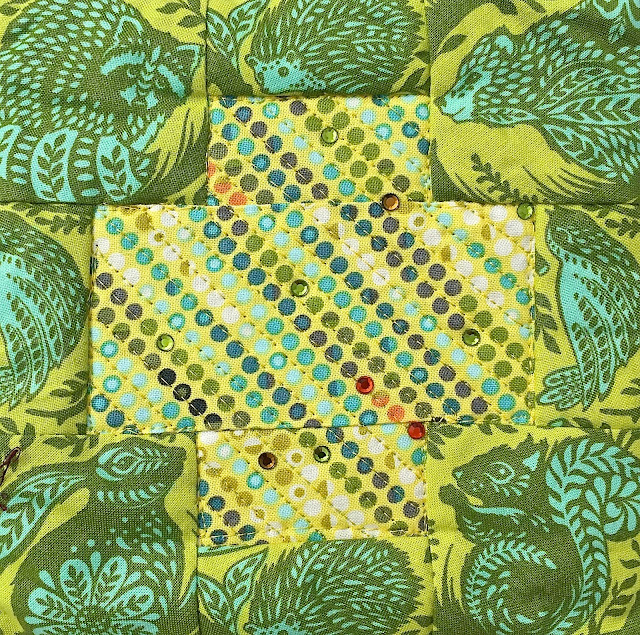 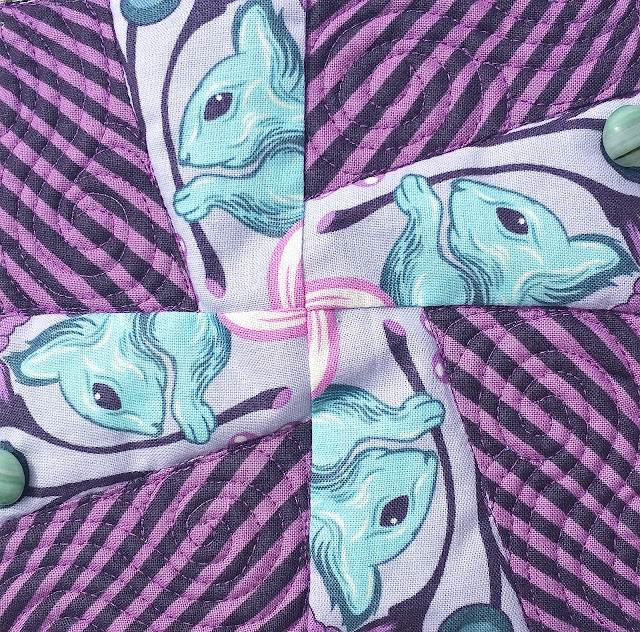 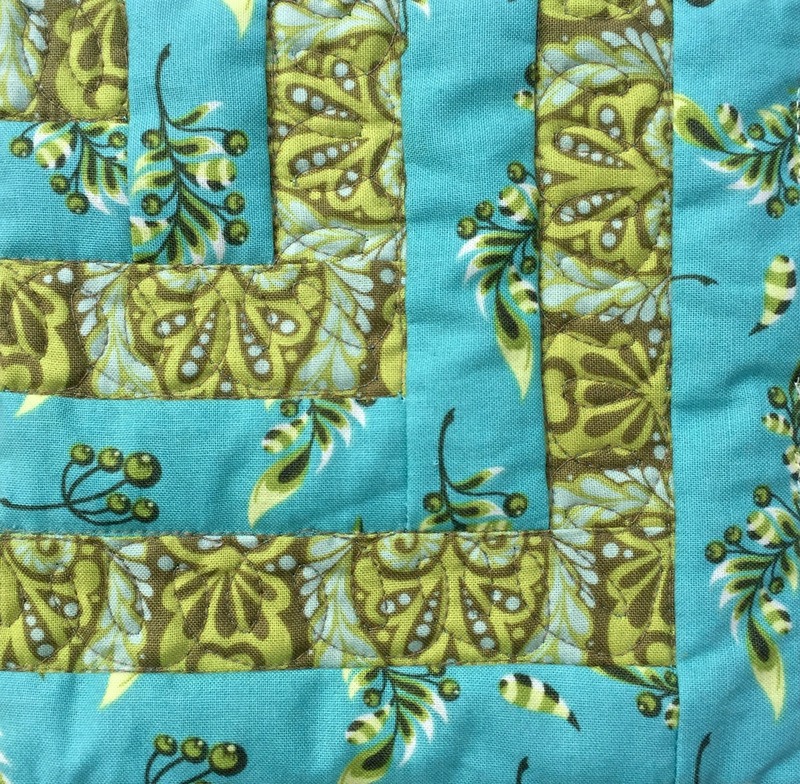 You can find the block instructions in Part I and II of the quilt along. 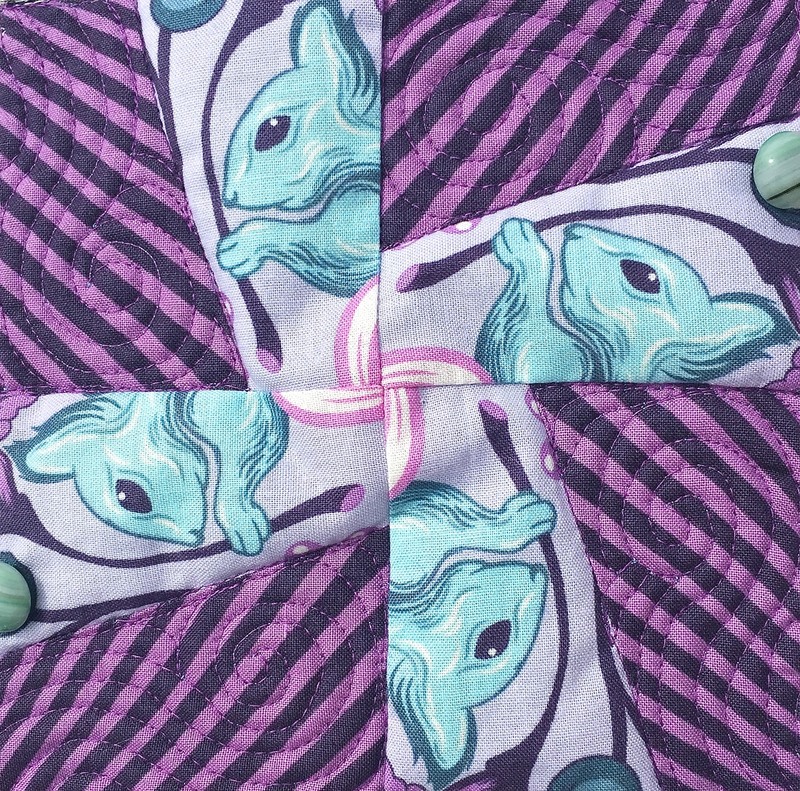 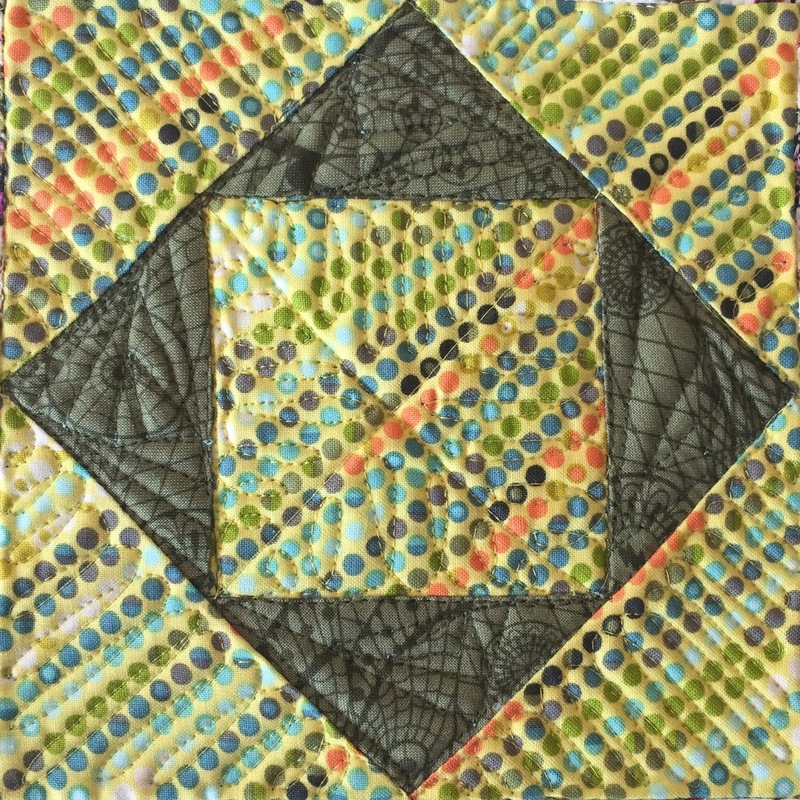 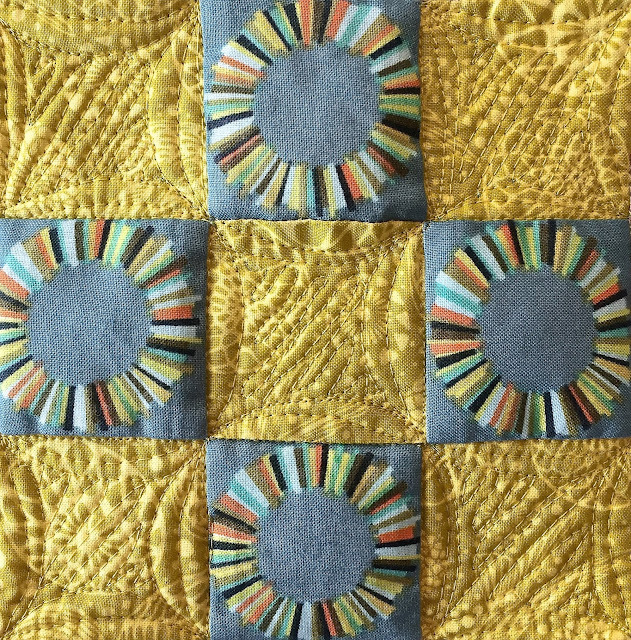 I sought to draw contrast between straight and curved designs, and different densities of quilting, to allow some areas to be compressed while others popped.